A phlebotomist will need to find a good, strong vein from which to draw blood. For an experienced professional, this is typically a relatively easy job. Unfortunately, some people have difficult veins to work with due to obesity, dehydration, and a variety of other issues. What constitutes a difficult vein? Sometimes they’re very small, or hard to see. Other times, they don’t want to pop out or raise for the phlebotomist to be able to draw successfully. If you’re a phlebotomist who has encountered this problem before, you know how frustrating it can be. 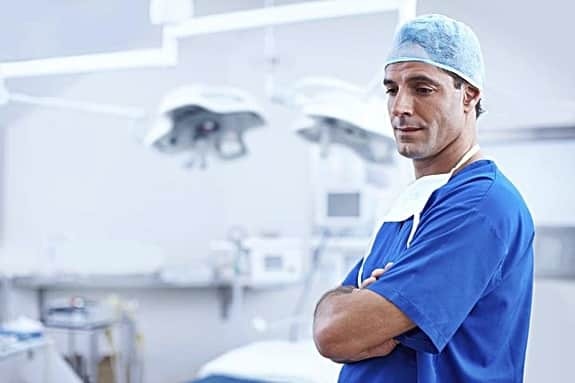 It’s your job to make sure the patient is as comfortable as possible as you take blood, and that can be difficult to do when you can’t find a usable vein. There are tips for making veins pop out when taking blood. They don’t harm the patient in any way and can be used regularly to make your job easier and safer. In this guide, we’ll cover how to find a standard vein and what you can do if that vein isn’t proving to be a good option. As a phlebotomist, venipuncture is one of the main parts of your job. Being able to find a usable vein quickly is crucial, and something you learn throughout your training. Unfortunately, some veins are significantly easier to see than others. Most of the time, the visibility of the vein depends on the patient. For example, the veins of a middle-aged man will likely be easier to find than that of a woman, unless she’s extremely active. Drawing blood from the elderly, young children, and infants can also be a challenge. Patients who are severely dehydrated can also make it difficult to find a vein. Median antecubital vein – Located on the arm in front of the elbow. Cephalic vein – Upper shoulder or side of the arm. Basilic vein – Under the arm. Dorsal hand veins – Top of the hand. You should only do this draw when all other methods have been exhausted. Foot veins – Should only be used under special circumstances and with extreme care. Often, you won’t know your patient personally before drawing their blood, unless you work at a smaller practice and have done it for them before. If it’s possible for you to give your patients some tips ahead of time, this can make hard-to-find veins for a blood draw so much easier. Drink plenty of water an hour before the draw. Alternate arms if you’ve given blood recently. Try light exercise beforehand. Some jumping jacks or push-ups can make your veins pop out. As a phlebotomist, though, you can’t expect patients always to follow perfect procedures to make drawing blood easier, and you may even find that some patients are rude. It happens! In most cases, simply following best practices and knowing how to find a difficult vein is the best way to carry out a successful draw. If a vein is not prominent enough to see easily, you can feel around for it. You know what to look for and where to look for it, so sometimes a gentle touch can make finding a usable vein easier than looking for it. Use your index finger to palpate and trace the standard path of the vein on the arm. The right vein should feel somewhat bouncy as you press on it. If you can find a vein with that desirable characteristic, you’ll know that you’ve discovered a usable vein, even if it’s not prominent. Veins become more visible when blood is forced into them. You can do that by gently massaging the arm, from the wrist to the elbow. After a few minutes, gently tap the site of the puncture with your fingers to make the vein pop out. If you’re still experiencing difficulties, placing a warm washcloth over the puncture site can also increase blood flow and make a vein more prominent than was previously the case. Using a tourniquet is something most people are used to seeing during difficult blood draws. They are popular because they are so useful. To use a tourniquet to draw blood correctly, you should tie it three or four inches directly above the puncture site. You should never tie it too tightly at first. Often, even a loose bind can help a vein to pop. Only tighten it if necessary. A tourniquet should also never be left on for more than one minute. This can cause an overall loss of plasma in the blood, and the sample could be unusable. If none of the above options enable you to find a strong vein, you may need to find another puncture site. In that case, you would use the order of Draw (venipuncture). These other sites should always only be considered when there are no other viable options available to you. They can be riskier, especially if you need to draw a lot of blood. However, that’s not always a luxury most phlebotomists are afforded. 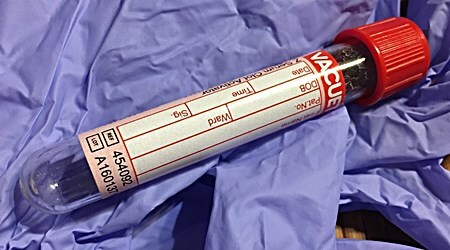 So, if you’re working with a patient who has small veins, or veins that are hard to find, practice some of the techniques discussed in this guide to make life easier for you. They can help you to find a usable vein quickly, so you can get the blood draw you need, and your patient can remain comfortable throughout the experience. Can High Blood Pressure Make You Tired and Dizzy?